If you or a client is considering the sale of a residential property, a pre-listing appraisal might prove to be much more valuable than the cost of actually having one done! The pre-listing appraisal can be useful for a variety of reasons but, at the end of the day, it comes down to pricing your home right! Not too high and not too low. These are some thoughts on pricing a residential property correctly as well as about the critical importance of working with a broker who you can trust! Residential real estate is a market in the same way that any commodity is. Each house on a block may have different bells and whistles but a neighborhood is still a neighborhood and will typically have a range for value. Your house is only worth what someone is willing to pay so that listing it above that number will likely not work to your advantage. For the broker more interested in a quick sale than a sale at the correct price, in the example above they will be ‘losing’ $1,000, less the amount they share with their firm. The seller on-the-other-hand would be foregoing $49,000! Buyers today are smart and use the internet to comb through the available inventory. Find a broker you can trust and list your house at a price that makes sense. If your house really is the gem you think that it is you will have price wars in your driveway and get above your asking price anyway! If you are a broker or residential property owner with a listing story to tell, leave it in the comments below. The Pre-Listing Appraisal: Do You Really Need One? I am fortunate to know Marc Powell, owner of All Points Appraisal, who has done work for me and who I have heard highly praised in the testimonials from many. ‘So you’ve decided to list your home for sale. If you are like most people your home is your biggest investment and most valuable asset. You may have spent much time and money improving and maintaining your home. The decision to list your home for sale may have been an emotional one, but the list price itself needs to be based on facts. List too low and you may sell quickly but you might be losing money. List too high and you may sit for months going unsold. Marc Powell (allpoints@optonline.net) is a Certified Residential Appraiser with 25 years of experience in the NYC/Long Island market. 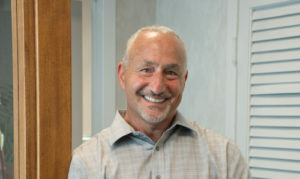 His company –All Points Appraisal covers Nassau, Suffolk, Queens and Brooklyn specializing in 1-4 Family homes, Co-ops, Condos and Mixed-Use properties. They provide appraisals for Mortgage Lending, Estate Settlement/Planning, Matrimony, Bankruptcy, etc.